Netflix will be making their biggest push ever during awards-season this year. A trio of their upcoming releases, 22 July, Roma and The Ballad of Buster Scruggs, have been given theatrical release dates that will qualify them for the Academy Awards. All three of the movies will also be debuting at the Venice Film Festival this week, which firmly puts them in the Oscar race. Or, at the very least, that's what the streaming service is hoping for. According to a new report, director Paul Greengrass' 22 July will arrive in theaters on October 10, the Coen brothers' western The Ballad of Buster Scruggs is slated for November 16 and Alfonso Cuaron's black and white Roma hits on December 14. The report notes that the release dates could change, but the important element here is that all of these titles will be given theatrical releases, which isn't overly common for Netflix movies. This isn't really for box office, as the movies will play in just 10 to 12 theaters in major cities across the U.S., including New York City and Los Angeles, where many of The Academy voters reside. 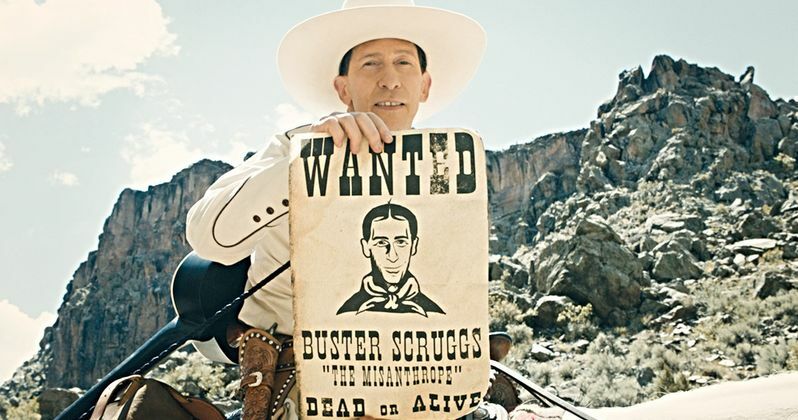 Not only will the titles be playing in a very limited number of theaters, but 22 July and The Ballad of Buster Scruggs will only play for a week. Roma could wind up playing for two weeks, but that has yet to be determined. Ultimately, it's clear that the streaming service doesn't particularly care about bringing in money with these theatrical rollouts. It's all about qualifying for awards. The Academy now requires that titles be released in theaters before rolling out on streaming services. Netflix will likely release these movies in theaters one to two weeks ahead of their streaming debut. These three titles couldn't be more different. 22 July, which comes from Captain Phillips helmer Paul Greengrass, is a real-life tale that takes place in Norway about a terrorist who murdered 77 young people attending a Labour Party Youth Camp which is told in three parts. Joel and Ethan Coen's The Ballad of Buster Scruggs is an anthology western that was originally going to be a miniseries but was turned into a movie. Roma is a black and white movie set in Mexico, which is a very personal tale for director Alfonso Cuaron. This marks his first directorial effort since Gravity. Netflix has been chasing an Oscar win. Last year they made headway with Dee Rees' Mudbound earning four Academy Award nominations, but failed to earn a win. Their first serious play at an awards-season movie came in 2015 with Beasts of No Nation and they have since become a major player in that department. With a trio of movies coming from creators who are going to be impossible to ignore by Academy voters, the world's largest streaming service likely has their best shot ever at taking home some major awards this year. This news was first reported by Deadline.